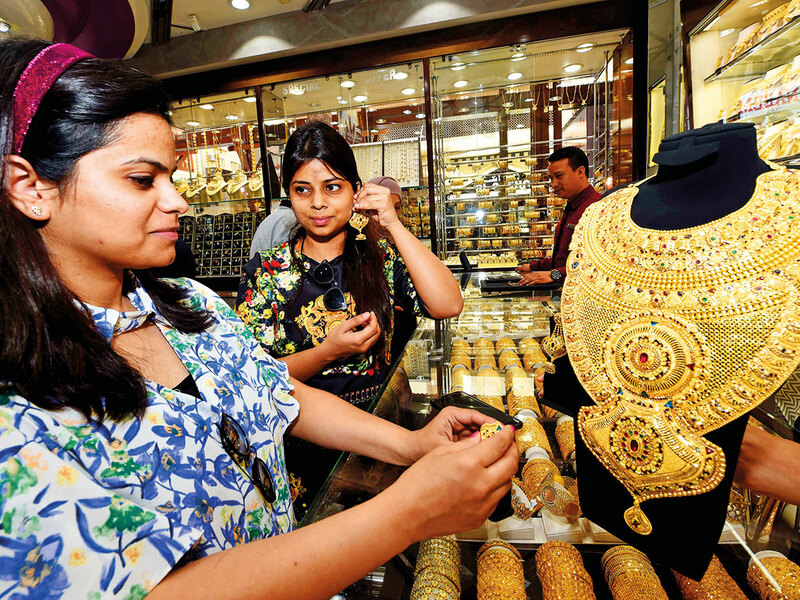 Gold imports by India rose last month despite local prices trading near the highest in more than five years, as jewellers start to restock for the wedding season. Inbound shipments grew 64 per cent to 46 tonnes in January from a year earlier, according to a person familiar with the data, who asked not to be identified as the figures aren’t public. However, higher prices kept a lid on supplies, which were lower than the 60 tonnes shipped in December. Finance Ministry spokesman DS Malik wasn’t immediately available for comment. The World Gold Council, a London-based promotion body, expects a recovery in demand in India this year on increased spending with elections due by May. “Elections mean expenditure, which means redistribution of income,” Managing Director for India PR Somasundaram said last month. Steps in this direction have already been seen by the Indian Prime Minister Narendra Modi’s populist push in his final budget on February 1 before the elections. The government will allocate Rs750 billion ($10.6 billion, Dh38.6 billion) a year in a cash handout plan for about 120 million farmers and give taxpayers Rs185 billion of tax relief in the year to March 2020. However, a key risk to demand growth prospects remain the higher domestic prices as Indians are highly price sensitive, he said. Benchmark gold futures in Mumbai rose to Rs33,646 per 10 grams on February 4, the highest since September 2013 and just below a record of Rs35,074 touched the same year. Shares of India’s biggest branded jeweller by value, Titan Co, erased losses and were trading at Rs1,053 on Monday in Mumbai, after dropping as much as 0.8 per cent to Rs1,045 earlier.